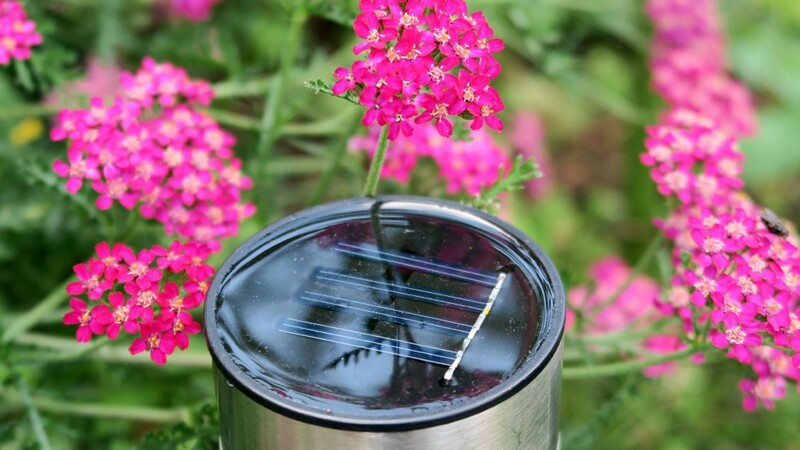 Look at these cute little solar powered colour changing stainless steel lights! I have placed these around my front garden, within the flower beds. 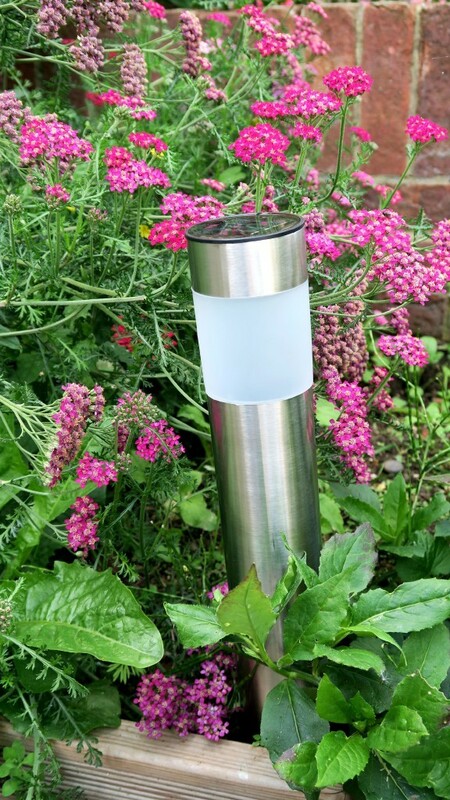 These solar powered lights come in a stainless steel casing, they have options of colour changing lights or a plain white. You can change the options by taking off the top to expose the bulbs, here you find a switch to choose between the colours or to turn them off. They have a solar panel on the top of each light so they are totally independent of each other. They come in a pack of 4, with a spike at the bottom you are able to poke them into the flower beds or grass wherever you want. I love the white lights, I think they are a very classic and subtle lighting within the flower beds. I love that they are not too bright at night time as well. They hold their charge really well, we have had dull days and they still shine brightly at night time. 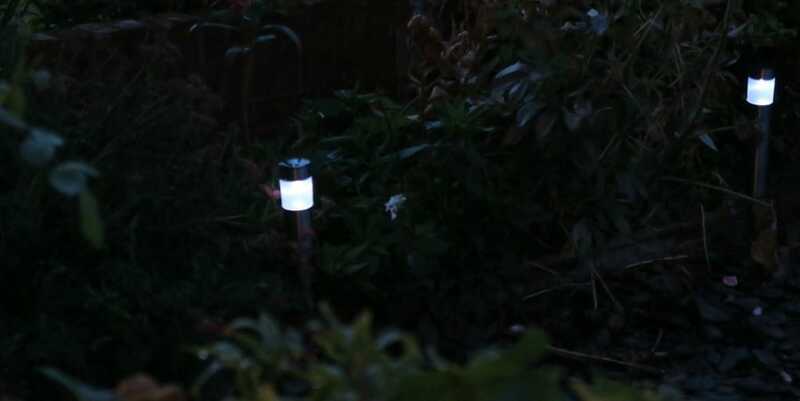 I love these little solar powered lights, when our back garden is done nicely I will add to them and put some in the back garden too. * As a Valuelights ambassador I was sent these lights for the purpose of this review, however all opinions are honest and of my own. Great use of solar energy. Got really excited with the invention of solar energy enabled product. The colour changing lights looks good. 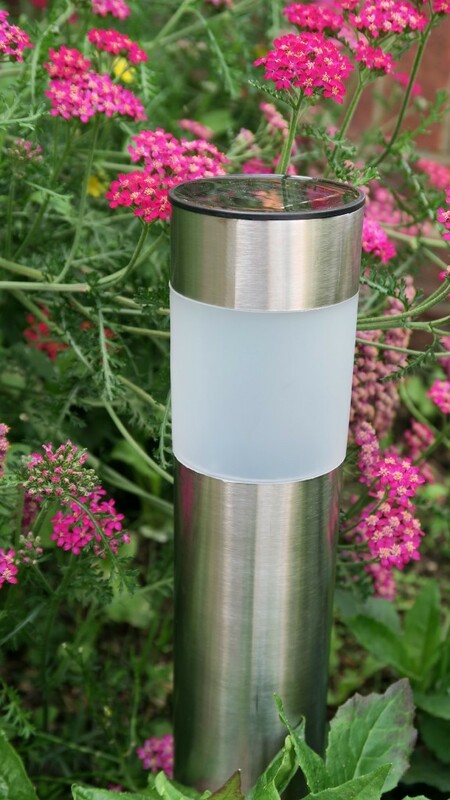 Such a great idea of solar powered changing stainless light at the garden. It doesn’t just give beauty in your garden, it also store energy to lighten up itself when the night comes. It’s good to use solar powered technology. People being dependent of what capability solar energy could help us. Let’s use these solar powered technology in good way so that we won’t harm anyone with in our reach. 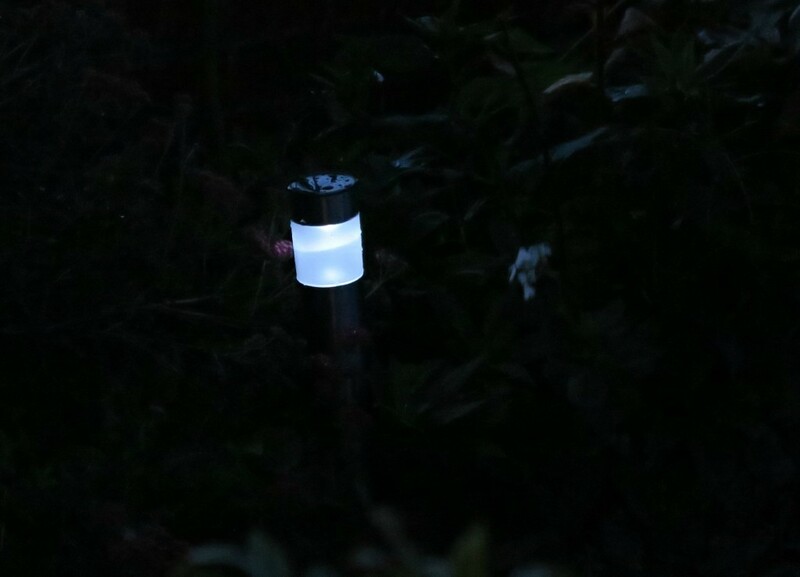 These look great and a lot sturdier than most solar powered lights. Nice to have a choice or white light or colours too! These look really sturdy, I do love a set of solar lights but they always run out and I forget about them. So far they haven’t run out yet, although we are having some lovely weather at the moment. 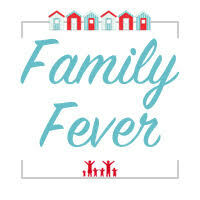 Having spent the last 10 years renovating out home. We have plans to move onto our garden next year. These are a great tip. They look good and I like the colour changing element. We’ve got various ones dotted around, but they aren’t as sturdy looking as these and have been prone to a few accidents (being knocked over by people and cats and being run over by a car). Well they sound quite sturdy if they have stood up to accidents! I think they really change the look of the borders.